Vivien has worked a number of years supporting people with mental health issues before training to become a clinical psychologist. She has provided education and brief interventions to clients who are experiencing anxiety. She has also provided training to staff on how to support anxious clients. As a psychologist, Vivien has experience working with both children and adults with mental health difficulties using individual therapy and group therapy. Vivien specialises in anxiety and mood disorders including social anxiety, obsessive compulsive disorder (OCD), trichotillomania, and depression. Vivien is particularly interested in helping people cope with cognitive deficits and emotional difficulties arising after a traumatic brain injury (TBI). Her doctoral thesis was on “The incidence and outcomes of mild TBI”. 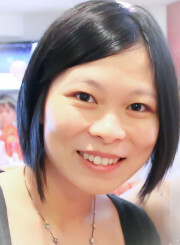 Vivien offers client-centered therapy as she believes every person is different. Whilst some people want a space to reflect and process issues, others prefer practical strategies to manage their difficulties. The first appointment provides an opportunity to clarify areas of difficulties and recommendations of the best approaches for their unique needs. Vivien utilises evidence-based therapies. Her main model of practice is Cognitive Behaviour Therapy (CBT), along with mindfulness-based modalities including Dialectical Behaviour Therapy (DBT).